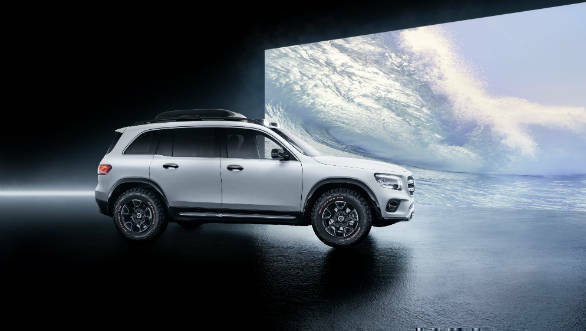 Mercedes-Benz has shown a new SUV concept, the Mercedes-Benz Concept GLB ahead of its debut at Auto Shanghai 2019. As the name suggests, this is an almost production-ready showcase of the upcoming GLB SUV. The new Mercedes-Benz fills a prominent hole in the carmaker's line-up, it will compete against the Audi Q3 and BMW X1. The GLB sits between the GLA and the recently facelifted GLC in Mercedes' engine line-up. It's based on the brand's MFA compact architecture which it shares with the A-Class, the A-Class Sedan and the new CLA coupe. 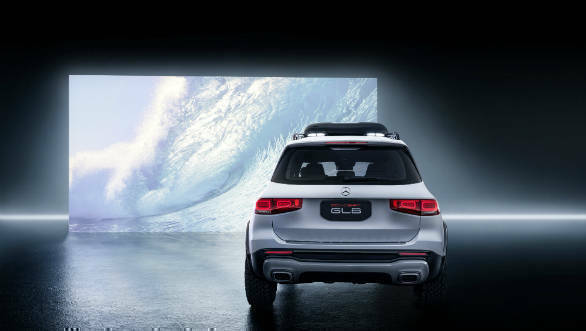 The GLB is meant to be the more spacious and practical alternative to the GLA. The SUV's styling seems to suggest this too. The GLB gets a more upright, squared-off face, a long wheelbase (2,829mm) and a big glass house. Other notable bits are the muscular lines along the sides and on the bonnet, the plastic cladding and other additions like the chrome bash plate and roof mounted fog lamps, storage bins and orange highlights unique to the concept. Off-road tyres in 17-inch size complete the look. The interior's party trick is the third row seats, good for two medium-sized adults. 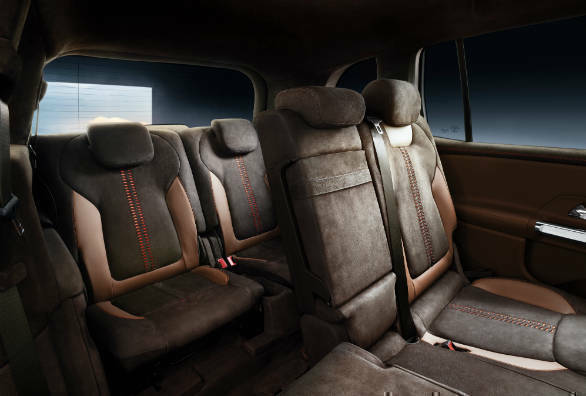 Other than this, the interiors follow the theme set by the other MFA cars so the space is high quality and trimmed in leather, metal and open-pore wood. In keeping with the robust theme, off-road-type tubular elements have been added to the dash. The widescreen MBUX cockpit also finds its way here. The middle row of sets are 40:20:40 foldable, get fore-and-aft adjustment and are reclinable too. Details of single petrol motor, which will be available at launch, have been revealed. This is the 2.0-litre M 260 four-cylinder petrol engine paired with the 8G-tronic. The motor makes 224PS and 350Nm, 20 to 50 per cent of which can be sent to the rear wheels via the AWD system. A power take-off for the rear axle is also available. Diesels and AMG versions will be added to the line-up. 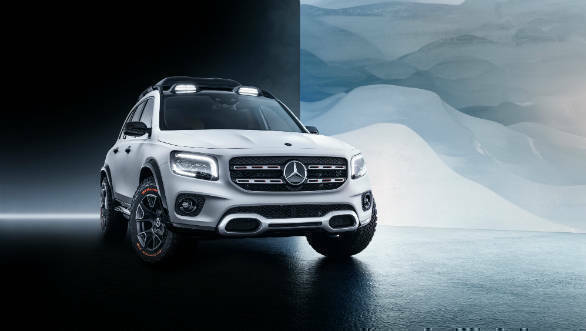 We expect the Mercedes-Benz GLB to be priced at around Rs 40 lakh when it launches in India.